Gluten, Dairy, Soya and Caffeine free. 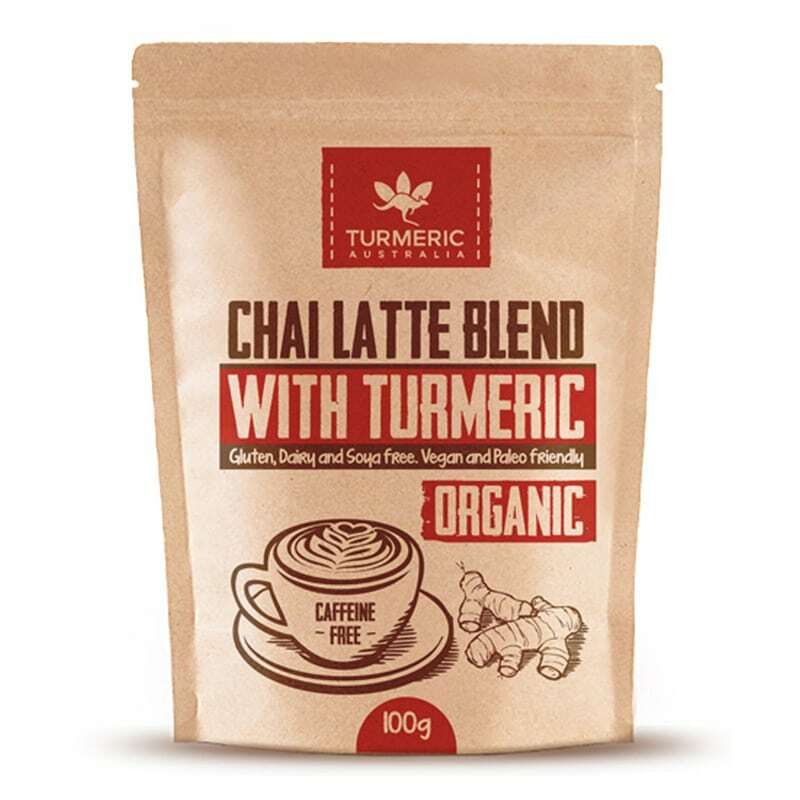 This aromatic blend combines Turmeric and other spices to create a soothing and warming drink. Gluten, Dairy, Soya and Caffeine free. Vegan and Paleo friendly. Made using imported certified organic ingredients. Mix 1 teaspoon of Chai Latte Blend with your choice of milk and heat gently while stirring. Stir until smooth and enjoy. If you find a sediment occurs at the bottom, simply give it another quick vigorous stir. (Tip: you can add this to a milk frother, it will mix and heat it at the same time).